Sibley Nature Center is committed to making sure children spend time in nature, learning and having fun. Studies show that the average American boy or girl spends as little as 30 minutes in unstructured outdoor play each day, and more than seven hours each day in front of an electronic screen. In this new program, children will arrive at Sibley Nature Center after school, on the 2nd Tuesday of the month from 4 pm - 5:30 pm. 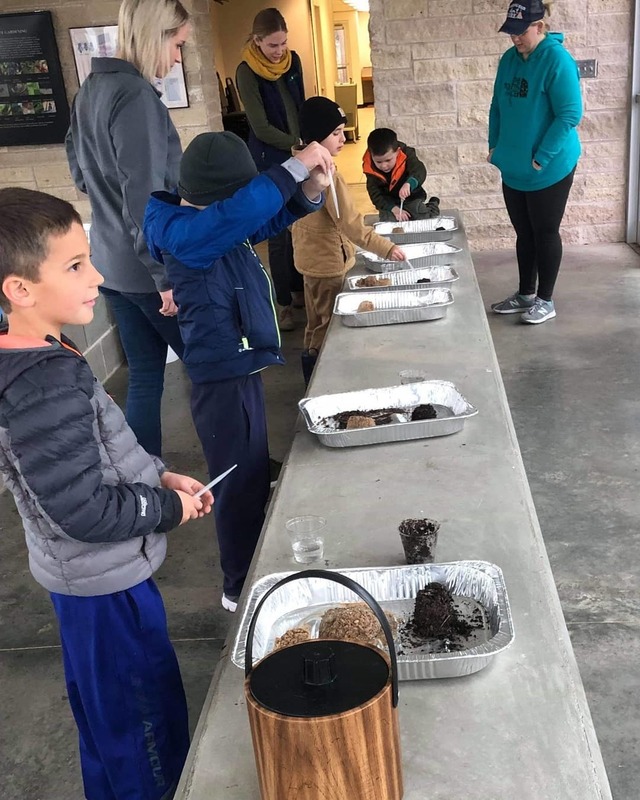 Kids will participate in outdoor play, crafts, and activities including making art outdoors, exploring the trails, and other nature-inspired activities. From free play in nature to planting seeds in the garden, Nature Club will be redesigned to encourage students to experience all Sibley has to offer. In February we learned all about erosion and weathering! Students learned how to distinguish the difference between the two, and then conducted fun experiments to see how weathering and erosion impact our geography. Afterwards, we took a hike around Sibley to see weathering and erosion in action!